Qualification : i. Good academic record as defined by the concerned university with at least 55% of the marks or equivalent grade where grading system is practiced at the Master’s degree level in a relevant subject from an Indian University, or an equivalent degree from an accredited foreign university. ii. Besides fulfilling the above qualifications, the candidate should have cleared the National Eligibility Test (NET) conducted by the UGC, CSIR or similar test accredited by the UGC like SLET/SET. iii. Holders of Ph.D. degree as on the date of Notification of these Regulations, along with those candidates who are awarded a Ph.D. degree through a process of admission, registration, course work and external evaluation as laid down in the UGC (Minimum Standards and Procedures for award of M.Phil /Ph.D Degree), Regulations, 2009 and so adopted by the university, shall be exempted from NET/SLET/SET. iv. NET/SLET/SET shall also not be required for such Masters Programmes in disciplines for which NET/SLET/SET is not conducted subject to the conditions stipulated in these Regulations. Drama Discipline : Good academic record with at least 55% of the marks, or an equivalent grade to that of 55% wherever grading system is practiced at the Master’s degree level, in the relevant subject or an equivalent degree from an Indian/Foreign University. 9 Besides fulfilling the above qualifications, candidates should have cleared the National Eligibility Test (NET/SLET/SET) conducted by the UGC, CSIR, or similar test accredited by the UGC. OR 1. A professional artist with first class degree/diploma from National School of Drama or any other approved Institution in India or abroad 2. Five years of regular acclaimed performance in regional/ national stage with evidence. 3. Ability to explain the logical reasoning of the subject concerned and adequate knowledge to teach theory with illustrations in that discipline. 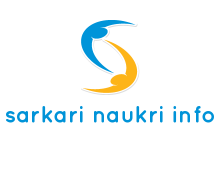 For Data Entry Operator : Graduate of Statutory University with at least Second Division with 40 & 30 w.p.m. typing speed in English & Marathi, respectively. Proficiency in Marathi and English Languages. Proficiency in Computer as prescribed by State Government from time to time. Fee : Candidates submit their application along with DD of Nationalized Bank towards non-refundable application fee Rs. 400/- for (open category) and Rs. 200 (Reserved Category) for Teaching Posts Rs. 300/- (Open Category) and Rs. 150/- (Reserved Category) for Non-Teaching post Group- C and Rs. 100/- for Group-D in cash of Accounts Section or DD drawn in favour of Registrar, Dr. Babasheb Ambedkar Marathwada university, Aurangabad payable at Aurangabad. The application form in a set of eight photocopies duly typed and completed in all respects, along with synopsis and necessary documents duly attested and attached to each application form of the set should be sent in an envelop super scribed as " Application for the post of ____________ subject _____________ Category ________ " so as to reach the Registrar, Dr. Babasheb ASmbedkat Marathwada university, Aurangabad on or before 28th September, 2012.